Coming from the lower part of the leg, lamb shank is a tough cut which requires long cooking to achieve good results. Each shank comfortably feeds one person and they are best cooked whole but, once braised, the meat can be pulled from the bone to fill pies or pasties. 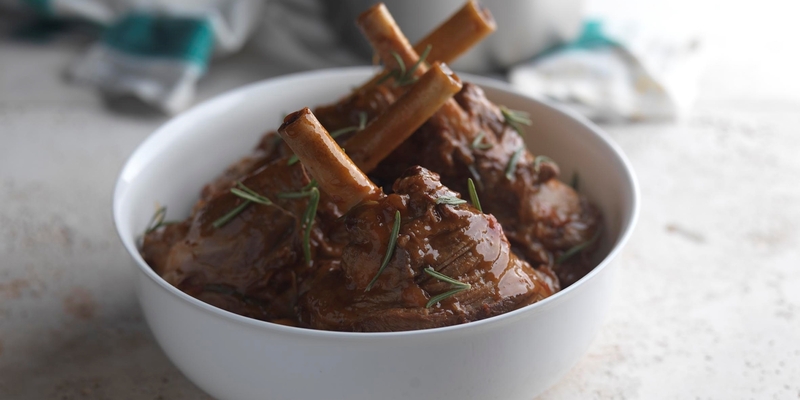 Once considered a cheap ‘forgotten’ cut, the recent rise in lamb shanks’ popularity has also hiked up the price. Try adding ras el hanout with the vegetables for a spiced Moroccan version. Martin Wishart adds tomatoes with the stock and finishes the sauce with red wine vinegar and sugar for a sweet and sour twist in his lamb shanks. Alfred Prasad has an Indian take on lamb shanks in his Hyderabadi shanks recipe.